FARC victims and military war criminals confronted the Colombia’s government about President Ivan Duque‘s controversial decision to delay ratification of the country’s war crimes tribunal during a debate in Congress. In an attempt to prevent Duque’s objections to the statutory law of the Special Jurisdiction for Peace (JEP) from being sent back for immediate ratification, Interior Minister Nancy Patricia Gutierrez urged Congress to advance the debate on Duque’s objections. Chief Prosecutor Nestor Humberto Martinez argued that not considering Duque’s objections could trigger the International Criminal Court to investigate mass executions of civilians by the military. According to the soldiers’ representative, Duque’s “unconstitutional” objections could result in soldiers accused of war crimes being tried in more than one court. Parra said that the objections are damaging to a peace process which is already happening: more than 60 officers have already given their testimony to the tribunal. JEP president Patricia Linares agreed that the objections are unconstitutional, and that Duque objected to a decision which is now beyond his control. Constitutional expert Rodrigo Uprimmy recommended that Duque withdraw his objections, while Francisco Barbosa, Colombia’s human rights assessor said that the objections had created a number of myths which needed to be clarified. 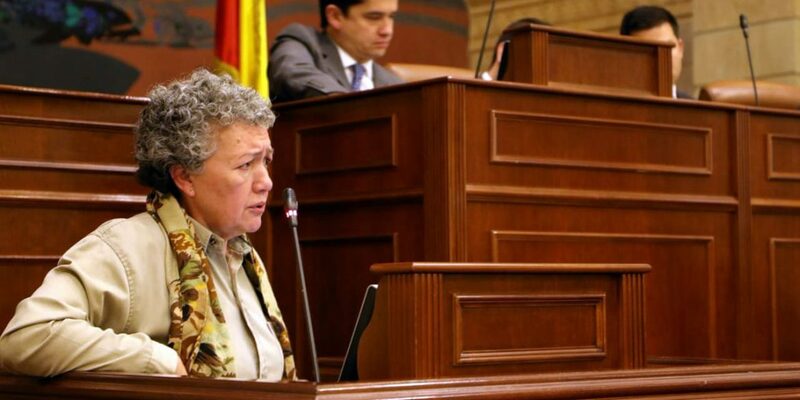 Former Congresswomen Consuelo Gonzalez, who spent years in FARC captivity after she was kidnapped by the guerrillas, reiterated victims’ general support for the JEP. Some are not even interested in its judicial role of the transitional justice system, but more in its establishment of the truth, the former lawmaker said. Gonzalez was supported by FARC victim Ximena Ochoa, who urged on Congress to dismiss Duque’s objections that, according to her, would only perpetuate impunity for the tens of thousands of crimes committed during the conflict. Save the deal, save peace. The only thing we victims are not willing to permit is impunity. Congress will decide whether to either accept Duque’s objections and resume the debate of the war crimes tribunal or reject them in the coming weeks.